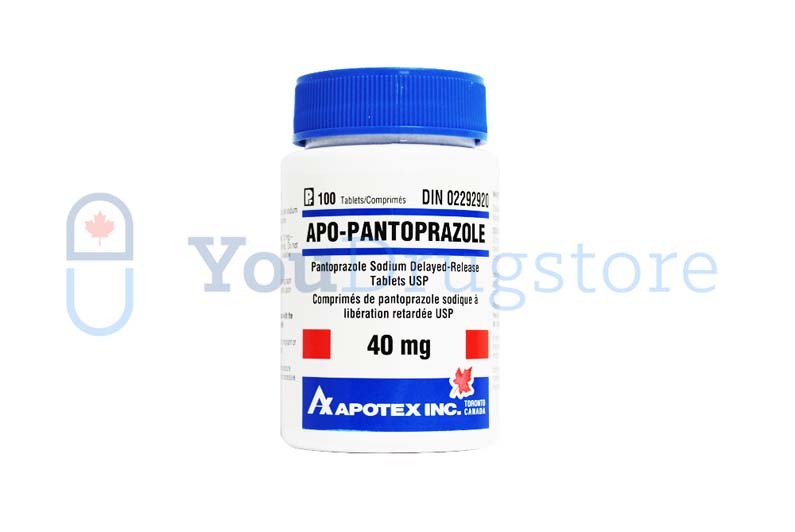 To order Pantoprazole 40mg online from Canada, simply register a free account on our website and then send us your prescription. 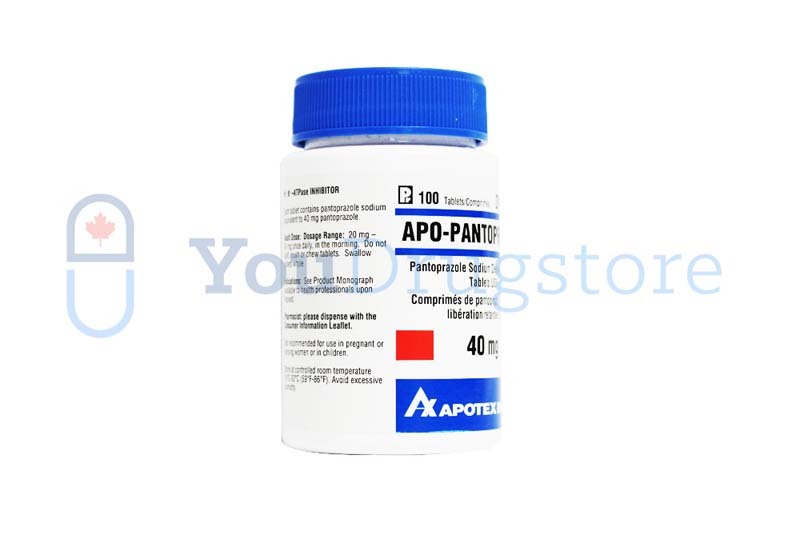 You must have a valid prescription from your doctor in order to buy Pantoprazole 40mg online from YouDrugstore. We are a licensed Canadian online pharmacy. Once we have received all of the required information from you, our staff of expert pharmacy technicians and licensed physicians will review your order. For added convenience, ask your doctor to fax your prescription directly to us or upload an image of your prescription during the checkout process so we can fill it immediately. Purchase Pantoprazole 40mg online from YouDrugstore.com and enjoy free shipping, as we provide free shipping for all orders over $100. Pantoprazole is a generic medication used to treat gastroesophageal reflux disease and erosive esophagitis. Buy Pantoprazole 40mg online from YouDrugstore today and find relief from your symptoms right away. Your doctor may prescribe Pantoprazole for you if you have been diagnosed with erosive esophagitis, gastroesophageal reflux disease, Zollinger-Ellison Syndrome , or any other condition that involves an excess of stomach acid. Gastroesophageal reflux disease, often called GERD, is a chronic disease where stomach acid rises up through your digestive system and irritates your esophagus. Erosive esophagitis is when your stomach acid has actually caused damage to your esophagus. Erosive esophagitis is commonly caused by untreated gastroesophageal reflux disease. Tell your doctor if you are pregnant, if you are nursing, if you have kidney trouble, if you have liver disease, or if you are treating AIDS or HIV before taking this medication. Never take generic Pantoprazole if you are allergic to it. Generic Pantoprazole is often prescribed to treat conditions involving stomach acid because they are proton pump inhibitors. Proton pump inhibitors, or PPIs for short, are medications that prevent stomach acid production. This helps reduce the overall level of stomach acid in your digestive system, while also controlling your symptoms. If you have erosive esophagitis, Pantoprazole helps lower your stomach acid level so that your esophagus can heal without sustaining more damage. Pantoprazole is on the World Health Organization's list for most essential medications required for a basic health care system. Pantoprazole is also prescribed by doctors because it is a generic alternative to Protonix. Purchase Pantoprazole 40mg online today from YouDrugstore.com and take control of your symptoms. When you take generic Pantoprazole, you may experience some unwanted side effects. The most common side effects of taking Pantoprazole tablets include diarrhea, headache, abdominal pain, gas, nausea, and dizziness. These side effects are generally mild and do not require your doctor's attention unless they become severe. Rare side effects you may experience when taking this medication include trouble breathing, sweating, blurred vision, vomiting, trouble sleeping, and joint pain. Call your doctor immediately if you experience any of these rare side effects. Some allergic reactions to this medication have also been reported. If you believe you are experiencing an allergic reaction, seek immediate medical attention. Prescriptions for Pantoprazole are highly individualized. That means your doctor has carefully thought out exactly how much and when you should be taking generic Pantoprazole. Do not take more or less than your doctor has instructed. In most cases, Pantoprazole is taken in the morning. You can take Pantoprazole with or without food. If this medication upsets your stomach, try taking it with food or add a glass of milk with your meal. Make sure to swallow the tablet whole: do not crush, chew, or break the tablet apart. If you are unsure about how or when to take your medication, speak to your doctor.